On the left: a regular movie clip. On the right: three blitted clones. From a tutorial I wrote for Adobe Developer Connection: Blitting and Caching Movie Clips in Flash. It’s an introduction to blitting for developers using the Flash authoring environment (Flash IDE); you’ll learn how to take a regular movie clip from the library, cache it as a series of Bitmaps, and draw it (blit it) to the screen. Why bother? Because to blit an object is much faster than to use addChild(). Cool, I’ve never seen this stuff before. So, basically, instead of creating multiple objects, you create one and change it whenever something happens? Now, how would you track a MovieClip (or the matrix of pixels, or whatever you call a blitted object), as in the x and y positions in relation to other blitted objects? Or should you just addChild() it in this case? Hey Arxanas, sorry it’s taken me so long to reply. Yeah, you’ve got it, basically. You’re no longer creating graphical objects themselves, but just pasting pixels onto a screen whenever they need to change. 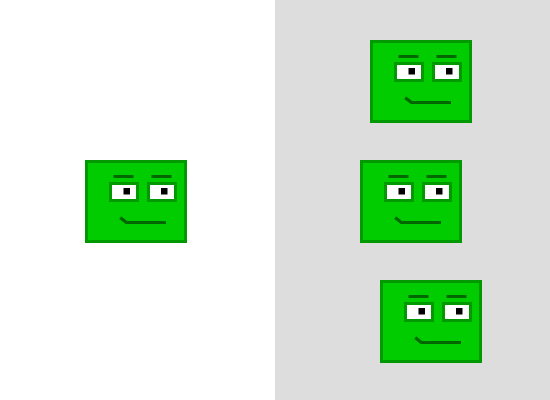 public class Avatar    //note no "extends"
Now, you can create an Avatar instance just like normal, and you can change the x and y properties as if it were a MovieClip. But, you can’t addChild() it, because it’s not actually a MovieClip! So in your tick function, you’ll have to look at avatar.x and avatar.y and blit an image of the Avatar to the canvas at that position. It’s not really complicated — but you have to deal with it instead of Flash Player. Wow, this is great site for game dev, there aren’t many indeed. Please, keep up the good job. The only other site some time i was follwing was asgamer.com, but that’s kind of abandoned. What about events? Do you have a snippet for doing all the events stuff now? I imagine that now on mouse move you would have to identify the mouse position, translate it into world coordinates, do any Z ordering selection and then send our own events to that (if enabled). Are there any open source frameworks that handle all this? Good question. That’s a key advantage of the display list that we have to leave behind when blitting. I don’t know of any frameworks that do that, though I know its a common problem so there must be one, right? Have you tried Flixel? Did you mean to comment on this post? Thanks for the post Michael! I was using, and now too, the Blitting of your tutorial. Whenever I can I recommend this site. What I want to know is when you write a new article. I can’t wait! I will get a new post up by the end of the year. In the meantime, check out my posts on Activetuts. Hi guys. For z ordering, I used the AS3Commons-Collections classes (SortedList) to hold a list of all my game entities sorted by its z-order. Then on my rendering loop just iterate from the beginning and draw! SortedList maintains ordering, and its very very efficient binary sort means I dont have to worry about it. Hey, great tutorial there, neat and straightforward. I have a question though, in a game, is it better to use the technique you described, or simply use a sprite sheet? Hey ayumilove, did you sort this out in the end? Phi Dinh: Great tip, thanks! GamerMaker: Thank you “Better” is very subjective. Depends on whether you want to create your animations using Flash or not, I suppose. You might be interested in SWFSheet, a tool by Keith Peters that allows you to turn SWFs into sprite sheets. about your technique, do you have an idea of the performance gain? Let’s say in my case, I have about 100 movieclips that are constantly playing (more than 50 frames each) and moving on the stage. Would it really be effective if I store every single frame in a bitmapdata, push them into a loop, then use another loop in an Enterframe to copyPixel them on the screen?